With the brand’s commitment to sophistication and glamour at the forefront, the newest Diva glasses, without surprise, deliver unparalleled elegance! 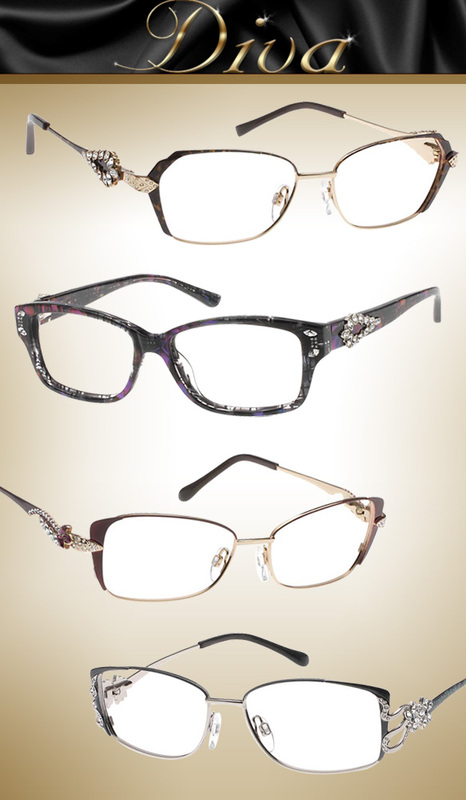 Meticulously embellished with sparkling Swarovski crystals, these specs couldn’t be more chic. To boot, hand-painted finishes, leopard prints, snake and floral motifs, shooting star-inspired accents and scalloped edges inject even more dazzling beauty into these sleek rectangular silhouettes. A rich palette of gorgeous blues, violets, greens, golds and silvers puts the finishing touch on these gorgeous styles. Ladies, love what you see? Get even more deets here.